This week I’m going to take a brief departure from what I usually write about in this space to tell you about a special report the Women in Retail Leadership Circle’s sister brand Total Retail just published. The report, titled OPEN SESAME! Subject Lines That Work Like Magic!, is all about — you guessed it — email marketing and more specifically, subject lines. The comprehensive guide includes a collection of the best email subject lines Total Retail has seen recently from a variety of retailers and brands across the industry. You’ll see examples of email subject lines that contain urgency; pique reader curiosity; and focus on social proof and customer testimonials. And for a special bonus, the guide offers four calls-to-action (CTAs) that brands can use within their emails. After all, once you get people to open your email, the next step is getting them to take the action you desire (e.g., make a purchase, sign up for your loyalty program, write a product review, etc.). That’s when attention-grabbing CTAs come into play — whether it’s in the body of the email itself or on a landing page you drive recipients to. Including the right CTA within your email is a balancing act. It has to be straightforward enough so subscribers won’t get confused, but also catchy enough to entice someone to click. However, for consumers to engage with your emails, they have to open them first. That’s where subject lines enter the picture. 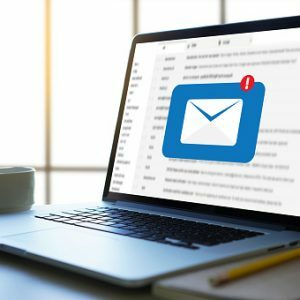 Whether you’re trying to connect with an executive, sell a prospect, or simply get a friend’s attention, subject lines influence whether your emails get opened. In fact, 35 percent of recipients open their email based on the subject line alone, according to Convince & Convert. It’s true: The best way to cut through the inbox clutter and gain email subscribers’ attention is with a killer subject line. It’s the first introduction to your brand, your offer, your products and your content. Without attention-grabbing subject lines, your email strategy is dead on delivery. Want to see how the subtle art of effectively integrating email subject lines and CTAs should be done? Download OPEN SESAME! Subject Lines That Work Like Magic today! Furthermore, make sure to share the link to download the report with your colleagues, marketing team, industry peers, etc. This is the type of content that’s too valuable to keep to yourself! Welcome to the New Inner Circle! WIRLS Speaker Jules Pieri on Starting The Grommet Instead of a Mentor, Create a Personal Board of Directors A Girl’s Night Out You Can’t Miss!